Today is a big day. Today marks three weeks until work/school resumes. It really hit me today, and I ended up spending several hours today running errands, working out and enjoying my last bit of unstructured free time. I have a feeling these next weeks will fly by, and I want to be sure to enjoy this time. Tomorrow is an even bigger day. Tomorrow is our 2nd wedding anniversary. It still feels like yesterday that I was reading John's letters to me on our wedding day. They made my heart swell with love as I prepared to do the best thing I've ever done - marry John. 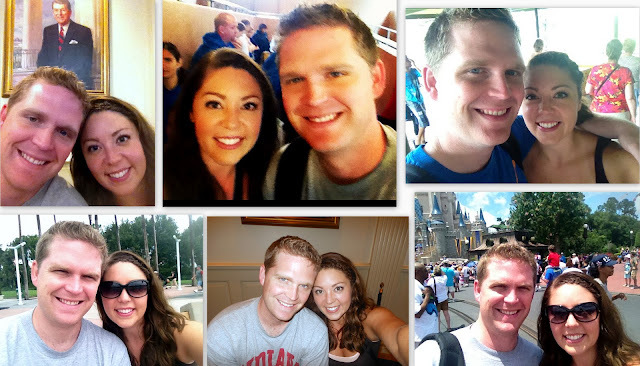 I'm grateful for my handsome, considerate, intelligent, funny husband, and I can't wait to make more memories with him. 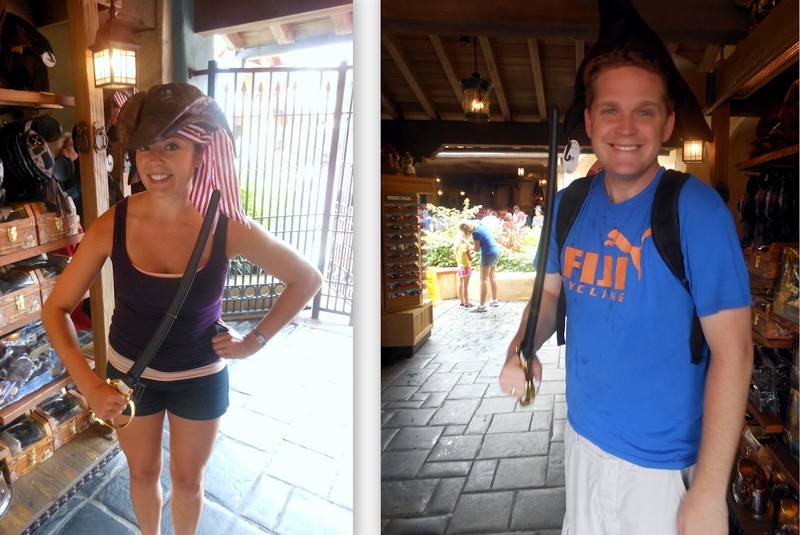 Some of my favorite memories from this year included our trip to Disney World. 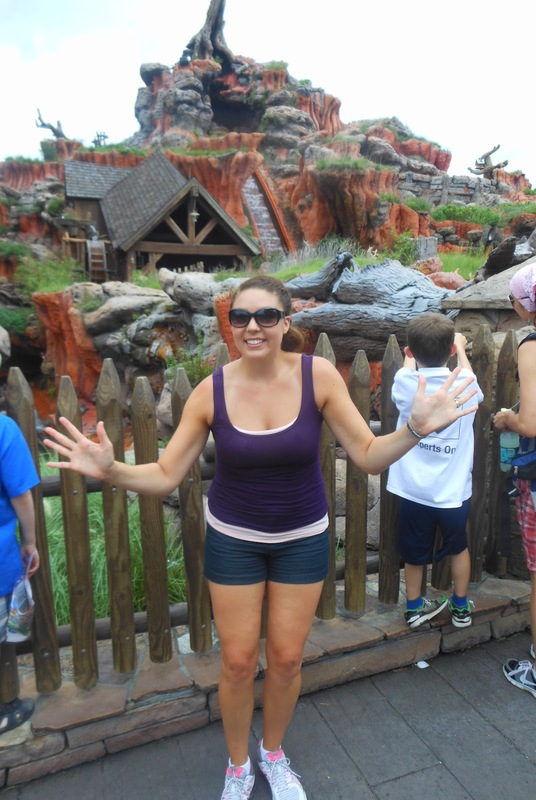 We ran around like crazy all day, every day - including the park's extended hours (the app I told you about was the best tool, thank goodness we had it!)! I don't remember the last time my legs hurt that bad, but it was worth it for all we did and saw. The weather was more bipolar than Indiana, which I never knew to be possible. 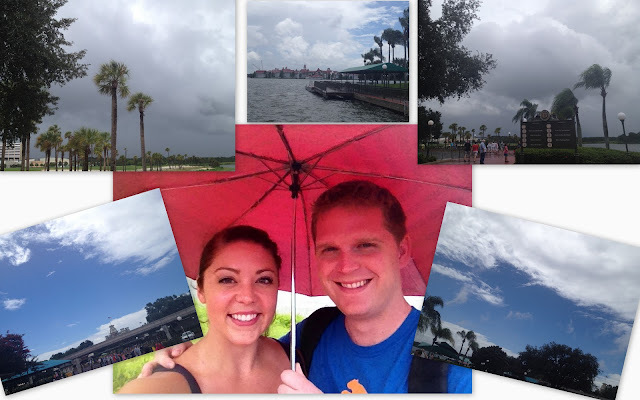 Thanks to a certain tropical storm, we were in hot sun and complete downpours within seconds of one another. 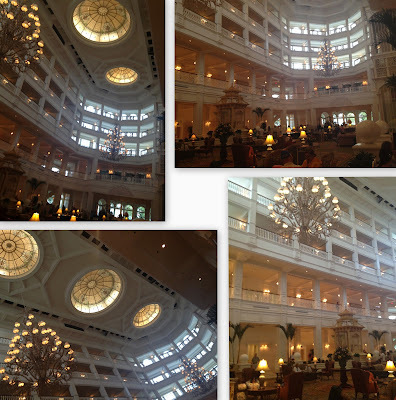 Inside our beautiful hotel...We loved The Grand Floridian! 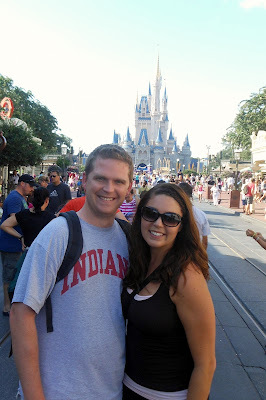 Had to show the castle! Last picture of the whole trip...wiped. As you know, Disney World is basically my favorite place ever, so I love looking at your pictures! Being big kids together is SO fun. And happy almost anniversary!! I can't believe it's already been 2 years--love you both! Agreed! And thank you!! :) Love to you both, too!